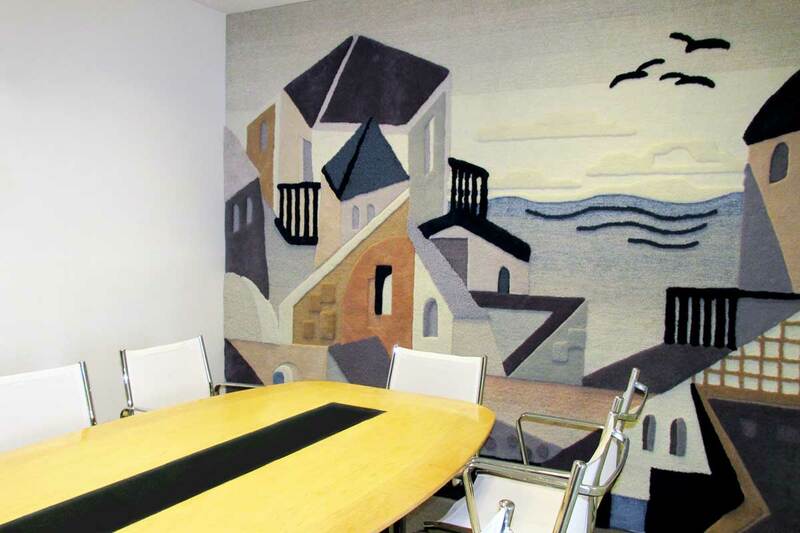 These nostalgic images of houses on the Tel Aviv seafront were designed for one of the conference rooms at the Carasso Group building in Tel-Aviv. 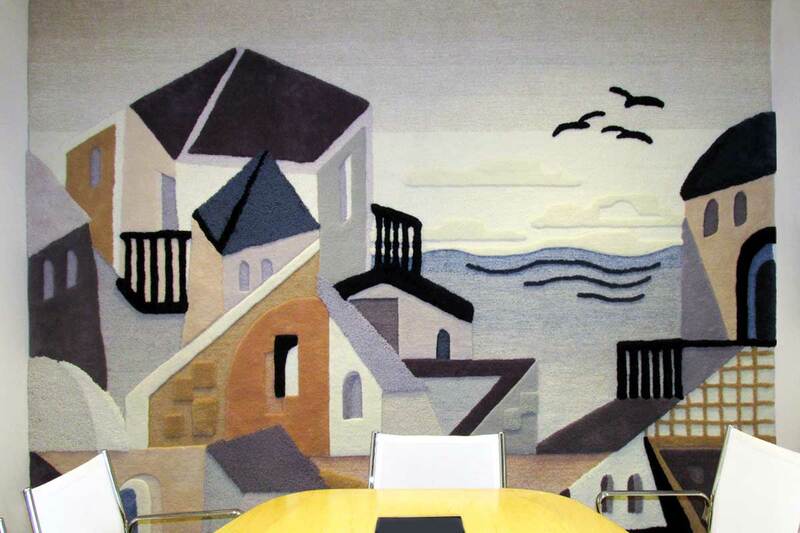 The original tapestry covers the wall from floor to ceiling and from wall to wall. In addition to its beauty, a wall-hanging that size is a perfect way of eliminating echoes and improving acoustics in a large room.